Japanese participation in British industry has increased greatly in recent years. While the new investment is welcomed for the jobs it helps create and the injection of new technology and managerial techniques, many people are fearful lest this increased participation should lead to loss of control of British industry by British nationals and adversely affect British competitors and their struggle for global markets. These concerns are made worse by lack of knowledge about just how extensive Japanese managerial participation in British industry is and about how Japanese practices differ. This book, based on extensive original research, answers these and related questions. 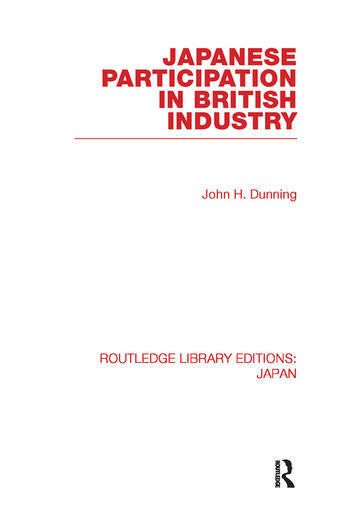 It is the first detailed study of the extent of Japanese participation in British industry, and of its economic impact in a number of key areas.